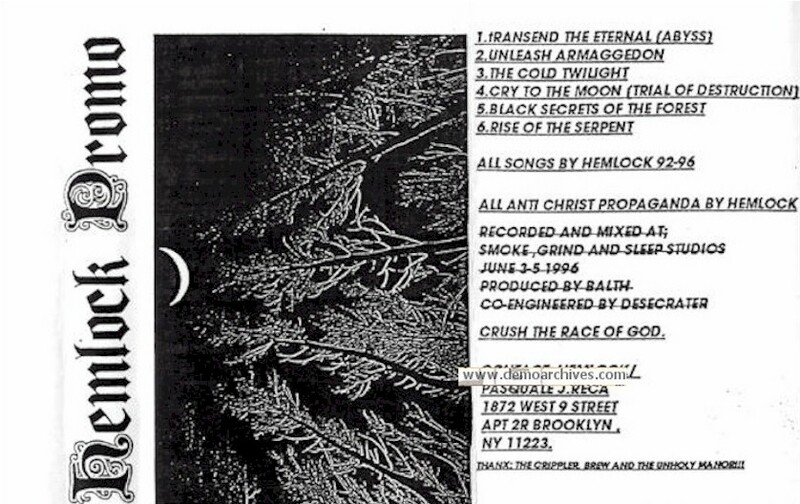 Hemlock is a black metal band from Brooklyn (NY) started in 1992. They released a couple demos in 1992 and 1996 respectively named "Demo 1992" and "Ceremonium". The latter was re-released in 1998 by Head not Found Records under the name "Crush the Race of God".